Whoever said sequels are never as good as the original clearly didn’t see this tour coming… For the second year in a row the Squirrel Nut Zippers are embarking on a holiday tour! The Holiday Caravan will hit ten cities on the west coast this November & December for eleven shows. The tour starts in Seattle, WA on November 27th and will make stops in Portland, Napa, Sacramento, Carmel, San Juan, Solana Beach, Los Angeles, Tucson and Las Vegas. Tickets for all shows will go on sale this Friday. This past March the Squirrel Nut Zippers released their first new studio album in eighteen years titled Beasts Of Burgundy. The album debuted at #4 on the Billboard Jazz Albums Chart upon it’s release. 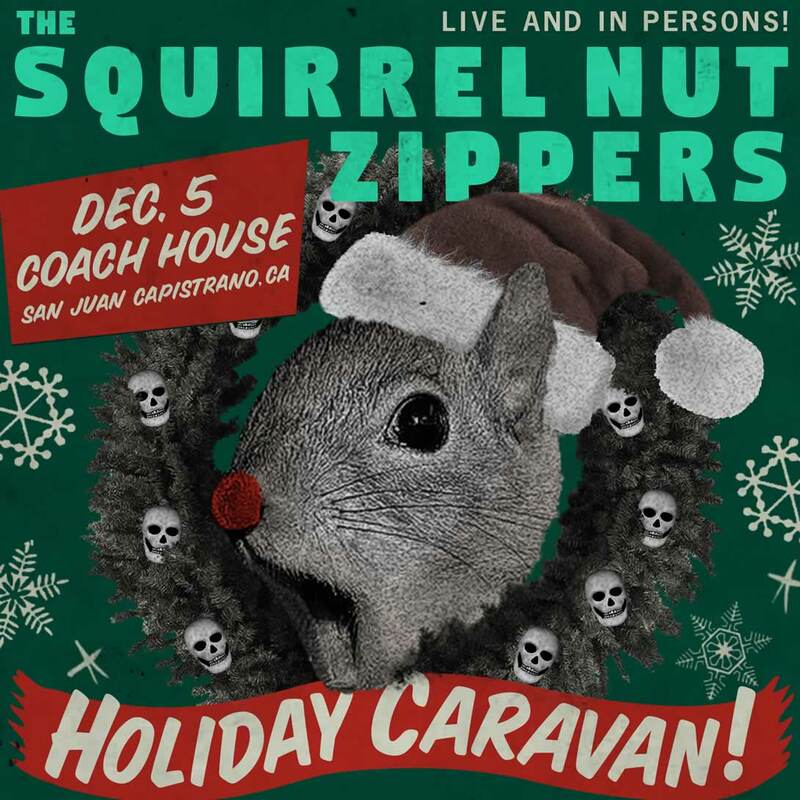 It was back in 1998 when the Squirrel Nut Zippers released their first and only Holiday album titled Christmas Caravan which went on to sell a quarter of a million copies and reached #12 on the Billboard Holiday Albums chart.